Redbox Deals | A Savings WOW! 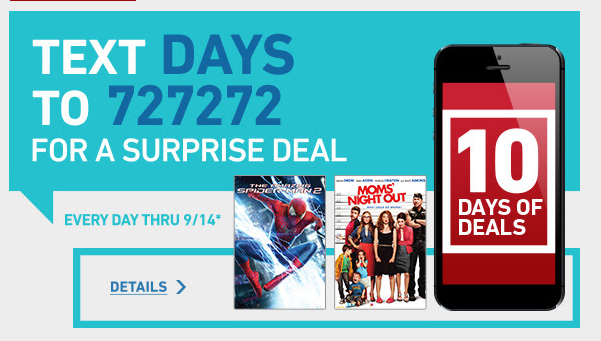 Text the word DAYS to 727272 every day through September 14th to receive a surprise deal from Redbox. This could make for an inexpensive date night for family game night.